The term misdemeanor is generally used to define a "lesser" crime charged against a person by the State, County or City. The United States Government also has Federal misdemeanors in the United States Code. The term "lesser" crime means that the crime is punishable by one year or less in jail and no more then a one thousand ($1,000.00) dollar fine, or both. People who are sentenced to jail for a misdemeanor crime will serve their sentence in either a County Jail or a City Jail. They will not go to the State penitentiary. The State Penitentiary is reserved for felony charges , which are the more serious crimes in Mississippi, and include drug crimes, grand larceny, armed robbery, murder, ect. There are important differences that distinguish a felony from a misdemeanor. As discussed above, a person charged and convicted of a misdemeanor has a limited exposure to both a monetary fine and jail time. By contrast a felony conviction can result in imprisonment of up to life in the State Penitentiary and millions of dollars in fines. A misdemeanor conviction does not result in the loss of voting rights or deny the person the right to hold certain professional licenses. ( Some professionals organizations will revoke a professional license due to a misdemeanor conviction). A conviction for certain felonies results in the loss of the right to vote, inability to be bonded for jobs, and the right to hold professional jobs. Most all felony convictions stay on an individual's record for life whereas misdemeanor convictions can often be expunged, which means all history of the arrest, trial and conviction can be removed from the public records and the person can state on future job applications that they have never been arrested or convicted of the expunged crime. Misdemeanors are usually started by a law enforcement officer writing a ticket or signing an affidavit swearing that he witnessed the person commit the crime. A private citizen may also go to Court and swear to a misdemeanor affidavit. 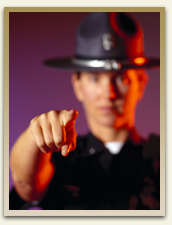 In most instances if a person is charged with a misdemeanor he/she will be arrested and taken before a Judge. The Judge will set bail on the charge. Bail is an amount of money that the Court requires the person charged to post with the Court before being released from jail. The person charged has the option to put up a cash bond with the Court of the entire amount of the bail, or pay a person called a bondsman ten (10%) of the face amount of the bail and the bondsman will file a corporate bond promising to pay the full amount of the money to the Court in the event the person charged does not appear on the scheduled day of Court. The Court has the authority to release a person charged with a crime on their own recognizance, which means without having to post any bail, but these instances are very rare. Bail is the rule, not the exception. After securing release from jail, the person usually has a initial appearance in Court. During the initial appearance the person has the right to plead guilty and accept the punishment that the prosecutor wants to recommend and the Court decides to give, or the person can plead not guilty and the Court will set a later trial date. The prosecutor is the attorney for the State, County or City, depending on where the criminal charge originates, and therefore does not represent the accused. The American Justice System is an adversary system of justice-this makes the prosecutor your adversary in Court, not your attorney or friend! During the trial the accused citizen has a wide range of rights. He/she has the right to cross examine and confront all the witnesses that have accused him/her of a crime. He/she has the right to testify or not testify. If the person decides not to testify the Court may not infer that the person is guilty for choosing not to testify. The accused also has the right to use the Court subpoena to call witnesses to Court on his/her own behalf. In some instances when the Court uses a jury instead of a trial in front of a Judge, the accused has the right to offer jury instructions explaining the law to the jury. All of these important decisions are the province of the criminal defense attorney. 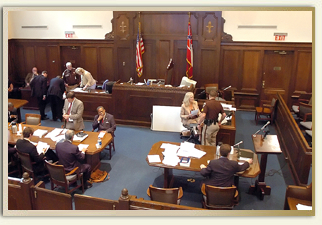 Our attorneys at Coxwell & Associates are experienced trial attorneys. From the moment of the initial consultation, we begin evaluating the merits and weaknesses of the prosecutions' case and likewise the strength and weaknesses of the accused's defenses. While we understand and recognize that citizens may choose to enter into plea bargain negotiations with the prosecution through their attorney, we personally believe that every person deserves and the Constitution of Mississippi and of the United States requires that we investigate and prepare for trial if necessary. We are not the type of attorneys who accept representation of a client and then encourage our client to plead guilty. The decision to plead guilty or go to trial is the client's personal decision. It should only be made after a thorough consultation, investigation, and preparation by zealous defense attorneys. A citizen could be charged with a misdemeanor in any Municipal Court (City Court), Justice Court, County Court, or Circuit Court. Usually we see misdemeanors arise in the first three (3) courts. Circuit Courts typically handle felony charges, though there are instances when a Grand Jury will indict a person for a misdemeanor. Often times we see felony charges in Circuit Court reduced to a misdemeanor as part of a plea bargain. Generally, most Constitutional rights and many other statutory rights apply in misdemeanor charges. For example, the right to be free from unreasonable search and seizure, the preference for a search warrant, the statute of limitations and many other rights are afforded to a person accused of a misdemeanor crime. One important difference between a misdemeanor and felony is that a person accused of a misdemeanor does not always get the right to a jury trial. This is one of the most cherished rights in our great Country and as professionals who devote their lives to helping people who make bad choices and mistakes, the right to a jury trial in every case is our preference. Whether or not a jury trial is granted depends on the amount of jail time the misdemeanor charges allows. Defenses are the factual, legal or Constitutional reasons why you are not guilty of the crime charged. There is a wide variety of defenses that might be available to a person depending on the facts and circumstances. A defense is typically what you present in Court through either evidence or legal argument. Our attorneys vigorously explore our client's possible defenses. In many misdemeanor cases we will find Constitutional defenses that are available which were overlooked by a previous attorney. For example, in a recent case we were hired to take over three (3) misdemeanor charges where the clients had been given three (3) consecutive six (6) month sentences to County jail. This means the accused was sentenced to eighteen (18) months in jail. On appeal, we determined that the first attorney failed to notice that the client's constitutional rights were violated by an improper search and seizure at his home. We were able to get the evidence thrown out. In another case the person was arrested after a verbal altercation with a police officer. It appeared to us that what the client said was protected speech under the First Amendment of the United States Constitution. In our opinion the police officer over-reacted. (Perhaps he had a bad morning at home). In Court we raised the defense for our client that his comments were not disorderly conduct but Constitutionally protected speech. The Court agreed and dismissed the charges. The attorneys at Coxwell & Associates have numerous examples of how our dedication to our clients, our thorough preparation, and our knowledge of the law has helped us advance the rights and interests of our clients. Contact our attorneys today for a complimentary consultation.